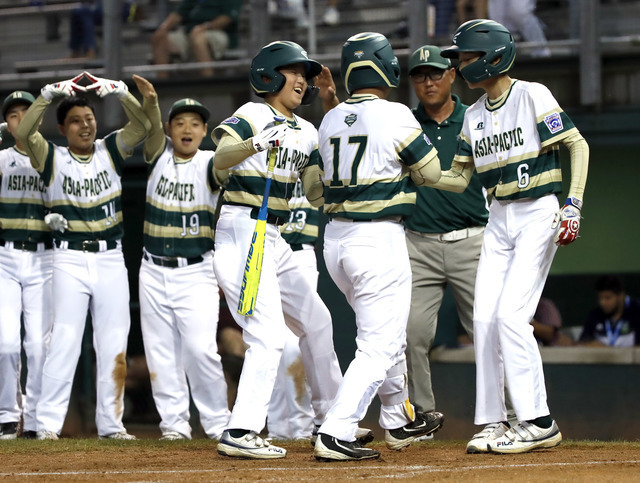 The international bracket final Saturday at the Little League World Series will be a rematch of the two teams that have looked the best so far on that side the tournament _ Kawaguchi, the representative of defending champion Japan, and Seoul, South Korea. The winner gets either Hawaii or Georgia, the teams in the US final, in the championship on Sunday. WHO TO WATCH: Choi Ji-Hyung is hitting .667 in the tournament for South Korea, the Asia-Pacific region champs, and has one of the hottest bats in South Williamsport. In nine official at-bats, Choi has six hits _ two of which left the park _ for five RBIs and six runs. Against Japan on Wednesday, he went 3-for-3 with two singles and a home run. Kawaguchi, meanwhile, scored 45 runs combined at Japan's national tournament but has just 16 runs in the same number of games _ four _ in South Williamsport. It needs to start heating up at the plate.